It’s New Years Day here on the Big Island in Hawaii and we’re heading to a community potluck tonight and I always love showing up with raw vegan recipes to share with others. Living on the Big Island in Hawaii we have a major abundance of avocados right now, a wonderful ingredient to work with when making raw vegan chocolate mousse. Most people would never even guess that there is avocado in it. But when you think about it, avocado is mostly fats (healthy fats) and so it’s a perfect raw vegan alternative to cream, butter or oil. I’ve come across a number of raw avocado chocolate mousse recipes, but most of them just use cacao powder. You can use cacao powder and it will turn out fine, but honestly it will just never be quite as smooth, creamy and yummy as using cacao paste and cacao butter. In this recipe I will walk you through making chocolate mousse with the cacao paste and cacao butter, but if all you have is powder, that will work great too! Using ginger in chocolate is a great way to add a little spice to the recipe. Rose water is an excellent ingredient to have on hand in your raw food kitchen and I invite you to explore the many applications of such a wonderful, medicinal ingredient. It adds a distinct and unique underlying flavor that is hard to find with any other ingredient and is a great way to put a unique spin on your raw food recipes. 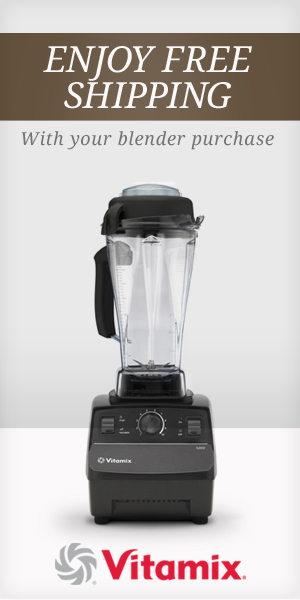 You can use a high-powered blender like a Vitamix or alternatively a food processor will also work. These are essential raw food kitchen tools that I recommend having on hand. For this recipe, it’s kind of a toss up between the two. If I wasn’t trying to grind down ginger I would probably just use my processor but the vita mix does such a good job of mixing the ginger and coconut into a smooth liquid. You could always use the blender for this part and then place the remaining ingredients in the food processor and finish the recipe with that. Play around with it, to see what works best for you. 1 cup paste – melted down on low in double broiler on stove. For this, I just take a small pot, fill it up 1/2 with water. Then place a glass bowl over the small pot and place your cacao in there. Start melting down on low heat. Add 1 cup of raw organic coconut sugar. I like the coconut sugar to be really fine, so I bust it in a coffee grinder that I only use for spices. Blend the coconut and ginger until ginger is fine. Add in your avocados and blend again. Then add in your warm chocolate mix from the stove. Blend all ingredients together on high and then add in the melted chocolate. If you are having guests over for dinner and would like to make individual servings for them, place the chocolate mousse in individual serving dishes and then place them in the fridge. The coconut oil will harder a little and give the mousse a little more of a firm texture. Remove from fridge 10 minutes before serving. Many Blessings on this New Year!